« Do repeat mailings work? 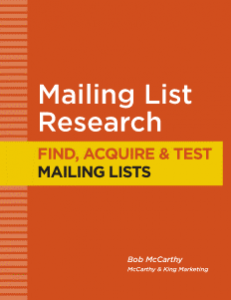 Mailing Lists: Should you buy, rent or build your own? 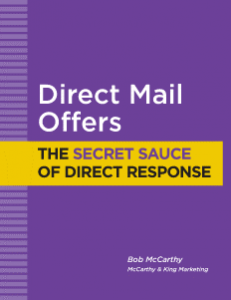 You don’t have to be in the direct mail business to realize that mailing lists are essential to direct marketing success. Whether you’re using the phone, direct mail or email, nothing is more important than a good mailing list. Nothing. You have three choices. You can buy a list. You can rent a list. Or you can build your own list. Some of the advantages are pretty obvious. Buying seems better than renting because when you own the list, you can mail to it over and over again at no additional cost. Building a list seems better than the other two options because you can take extra care in what names and addresses you add. Also, while building a list is time consuming, it can be done at little or no financial cost. But there are other factors as well. Often the decision is made by the size of your market. If your potential audience is large – too large and expensive to manage yourself – renting a list might make sense. Sometimes the decision is made by the data you need. If, for example, your prospects need to have a certain software system in place (and that information is not publicly available) – or your target job title is lower in the corporate structure(and not obtainable through public data) – building your own list may be your only option. Many, but not all, list companies give you the option of purchasing your list for unlimited usage. You’ll pay more (maybe double the cost) than if you just rent the list. Some of the better list owners (like industry publication lists) are very protective of their products and do not make them available for purchase. When you buy a list, you own it which means you are now responsible for keeping it up to date. This should be no problem if the list is relatively small and manageable. But if you purchased a large list and your budget only allows you to contact that list maybe once a year, you will find it gets outdated very quickly. This is the approach taken by most traditional direct marketers. They rent multiple lists in test quantities of 5,000 or 10,000. They track and measure the results of these tests to see which lists are most productive and worth using again. At the same time, they take the responses from these mailings and add them to their own house list for repeat contact. Eventually, the house list grows to become the primary list for sales and growth. But the rented lists continue to be used to find and acquire new customers. 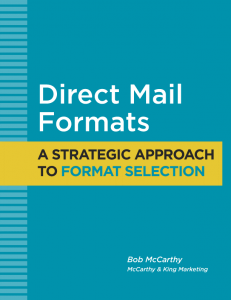 This approach works even even if you’re mailing smaller quantities. When you look at a purchased or rented list, you often find some records that just don’t make sense. It’s usually a small percentage of the total list, but it can be frustrating and annoying to know that you paid for those names. Some of this is due to the profile you submitted. If, for example, you rented or purchased a list of associations (like the Direct Marketing Association or the American Marketing Association), you might get a list that also includes local Chambers of Commerce and Rotary Clubs. Technically, this meets the profile of “associations,” but these are not what you wanted. When you build your own list, you can avoid this problem because you can decide which organizations go on your list. But just like a purchased list, when you build your own list, you will need to keep it up to date. Don’t forget your customer profile. Whether your buy, rent or build, you should have a good idea of what you’re looking for. Take a few minutes to create a customer profile describing in detail who you want to reach. And make sure to write it down. It’s an important guide for you and any list provider you may use. 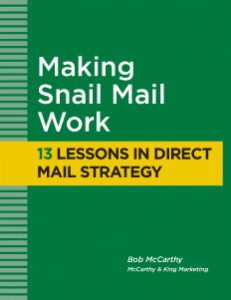 1 comment to Mailing Lists: Should you buy, rent or build your own? I have been doing BtoB direct mail in our space since 1992. Largely using purchased lists from industry/trade focused print mags. over the past 5-6 years, as print mags have given way to internet based mags the ability to get good lists has diminished. I’m looking for some help in figuring how I can regain access to qualified lists again. Have not had much luck with list houses.